For her first solo engagement as Queen, Letizia attended the opening of the exhibition "El Greco and modern painting" at Prado Museum in Madrid today. The exhibition commemorates the fourth centenary of the death of Domenico Theotocopuli, El Greco, and showcases the deep influence that the rediscovery of El Greco had on the development of painting during the nineteenth and twentieth centuries. Queen Letizia wore a Hugo Boss floral sheath dress. 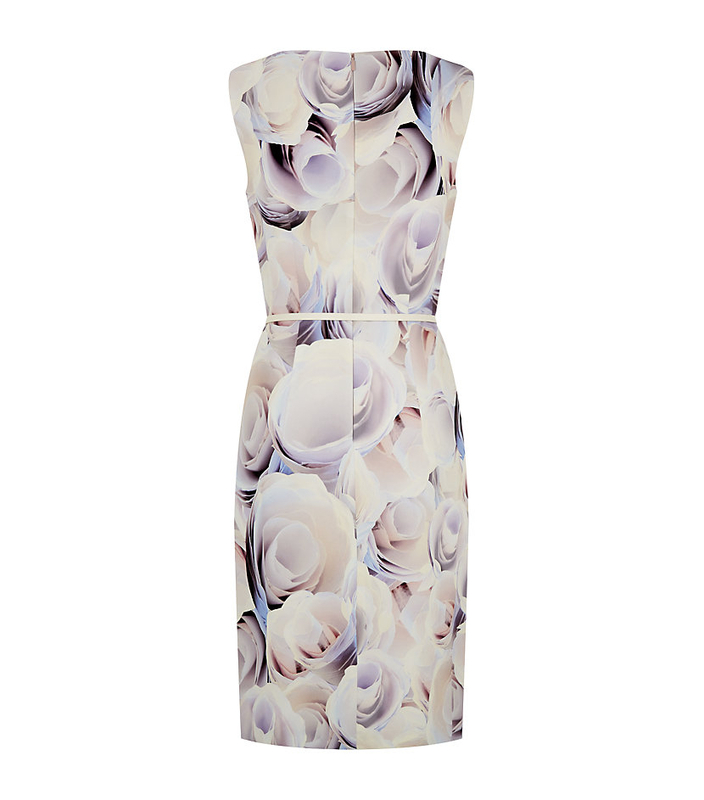 The style is called 'Dinoma' and she wears it in the white floral colour option. This colour-way is from the 2014 spring/summer collection and has almost sold out online. The dress retails for €479/US$650. 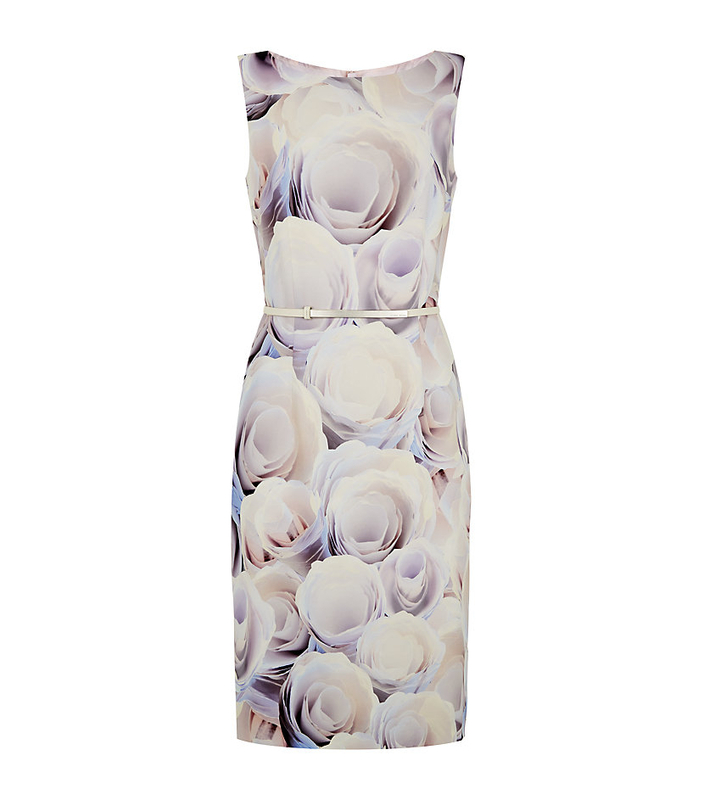 This sleeveless dress by BOSS has an all-over rose pattern in a viscose blend with elastane. It has a modified bateau neckline and is finished with a matching belt. Queen Letizia swapped the self belt for a one of her own, opting for a darker hue to match her patent handbag and peep-toe slingback shoes. All three pieces are by Magrit. The blush slingbacks have been in her closet since 2012. They are from the SS 2011 collection, style #19129 (information courtesy of Magrit). She wore her Yanes flower stud earrings which she has had for several years. The earrings appear to be part of a set. 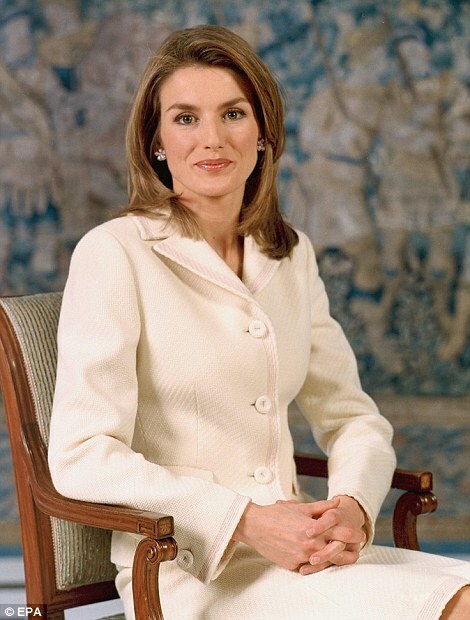 Letizia was photographed wearing the set for her first official royal portrait in 2005. The close-up photo on the right shows Letizia wearing a ring with the same flower design. On the left we can clearly see the earrings. It's interesting to note that she is wearing the ring along with her engagement band. This signifies that the flower ring must be of special value, and perhaps a gift from Felipe.